Pension funds are a fast-growing and useful asset pool for funding infrastructure projects in Nigeria. 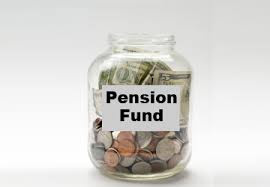 The National Pension Commission (PENCOM) recently announced that the asset pool made up of contributor’s funds, and managed by Pension Fund Administrators (PFAs), is currently at N5.3 trillion (Vanguardngr.com, February 22, 2016). Nigeria’s infrastructure deficit has been restated by many writers, policymakers, development enthusiasts and the government. It has been suggested that the Federal Government of Nigeria (FGN) may use the Pension Funds to fund this deficit. But the question is, how much of the N5.3 trillion may actually be invested in Nigeria’s infrastructure? This article seeks to analyse the Draft PENCOM Regulation on Investment of Pension Fund Assets, 2015 (Regulation) (The latest published Regulation is the 2012 version, but the 2015 Draft version has been circulated and is expected to be passed once the PENCOM Board has been reconstituted. It is hoped that this regulation would be approved by the PENCOM Board in due course) with the aim of arriving at estimates of how much is realistically available for investment in infrastructure projects from the N5.3 trillion asset pool. Fund 1 – This is for contributors who choose more aggressive investments (possibly higher risk and higher rewards). (The Regulation permits contributors to opt for Fund 1, provided that RSA retirees or contributors aged 50 and above will not be allowed to choose Fund 1). Fund 2 – This fund category is for contributors aged 49 and below. Fund 3 – The fund type for contributors aged 50 and above. Fund 4 – This is for RSA retirees. In line with the principle of long-term investments matching long-term funds, the multi-tiered structure proposed by the Regulation has carefully matched majority of the possible funding for infrastructure with Funds 1 and 2.
a) PFAs are obligated to invest a minimum of 5% of Fund 1 and Fund 2 portfolios, respectively in infrastructure. b) The Regulation distinguishes between investment in Bonds and investment in Funds. c) Fund 1 is allowed to invest a maximum of 15% in corporate bonds and a maximum of 60% in FGN and CBN securities including infrastructure bonds. As regards investment in infrastructure funds, Fund 1 may invest a maximum of 10% in such funds. d) Fund 2 is allowed a maximum 20% in corporate bonds and 70% on FGN and Central Bank of Nigeria (CBN) securities, including infrastructure bonds. Fund 2 has a maximum investment of 5% in infrastructure funds. e) Fund 3 and Fund 4 (unlike Fund 1 and Fund 2) do not have a minimum threshold for investment in infrastructure. This means that Funds 3 and 4 have no obligation to invest in infrastructure. Fund 3 and Fund 4 may, however, invest in infrastructure by way of corporate bonds and FGN/CBN securities targeted at infrastructure. The maximum limits for Fund 3 are 20% in corporate bonds and 80% in FGN & CBN securities; whilst the maximum limits for Fund 4 are 10% in corporate bonds and 80% in FGN & CBN securities. f) The allowable investment in bonds shows a pattern that seeks to allocate a greater permissible spend in Bonds which are secured (by FGN and CBN), as opposed to corporate bonds and Infrastructure Funds. e) Fund 4 currently accounts for 6% of the total funds in portfolios = N318 billion. The assumption here is that PFAs get to invest the minimum of 5% from Fund 1 and Fund 2. If PFAs simply follow this minimum injunction, the wallet available to PFAs for infrastructure finance based on the Regulation would be 5% of N4.081 trillion available in Fund 2, which is approximately N204.5 billion. The assumption here is that PFAs get to invest the maximum allowable investment in infrastructure bonds based on the maximum thresholds discussed above. This would involve PFAs channeling the maximum of their investment limits on corporate, FGN & CBN bonds and all such investments as are geared towards infrastructure. This would give PFAs an infrastructure wallet of N4.9 trillion for infrastructure investments. This scenario is, however, highly unlikely, as most of the investments under this category go to fund FGN recurrent expenditure. As in Scenario 2 above, the assumption here is that PFAs get to invest the maximum allowable investment but in this case, the investment vehicle would be infrastructure funds. This would give PFA’s an infrastructure wallet of N204.5 billion for infrastructure investments based on 5% of N 4.081 trillion in Fund 2. Based on the above analysis, it is clear from the Regulation that the bulk of pension funds available for infrastructure may be obtained via FGN and CBN securities and bonds. Therefore, government should first and foremost focus on FGN secured infrastructure bonds and not on infrastructure funds. To maximize this benefit, government may need to recalibrate its utilization of funds accessed via this window – by reducing utilization for recurrent expenditure and increasing utilization for infrastructure investment. PFAs simply require a guaranteed return and are not concerned with how FGN utilises the money. Secondly, a structure for FGN guaranteed corporate bonds (floated by project SPVs or FGN entities like the Federal Airports Authority) on specific infrastructure projects may be explored. This manner of project enhancement would go a long way to unlock pension funds for infrastructure projects and reduce the project risk profile. Thirdly, pricing of the bonds and the repayment can be addressed in a cohesive manner if PENCOM, by regulation, discounts the return on investment to the PFAs for instruments targeted at infrastructure. This may be viewed as a Corporate Social Responsibility gesture. Fourthly, as soon as the regulations are passed, FGN and PENCOM should enforce the minimum investment of 5% to incentivize PFAs to start investing in infrastructure albeit in bite sizes. PFA’s must learn the ropes with investing in infrastructure projects. Finally, it would go a long way if FGN proposes a legislation that creates an infrastructure sinking fund (a given percentage of future budgetary allocations) to support some of the bonds and project enhancements. This will definitely improve the risk rating of each project backed by FGN, and give the investors greater comfort.